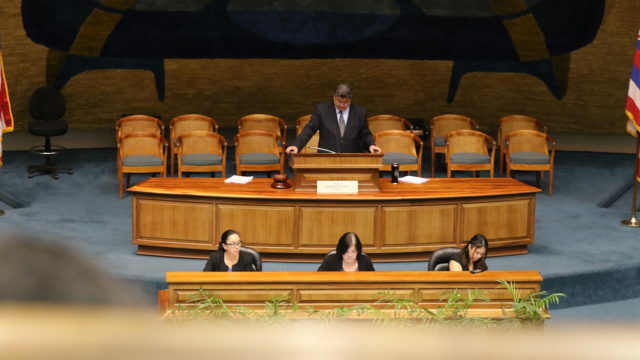 The post Two Ethics Reform Measures Clear House-Senate Conference Committee appeared first on Honolulu Civil Beat. Two ethics reform bills have been approved by a House-Senate conference committee while a third remains afloat. But another measure, this one changing campaign finance laws, is on hold as lawmakers try to settle their differences. The lead conferees on the bills are the respective chairs of the House and Senate judiciary committees, Rep. Chris Lee and Sen. Karl Rhoads. Late Wednesday afternoon the conference committee approved House Bill 170, which clarifies how the state’s laws on fair treatment — not unduly using political influence — and conflict of interest laws apply to legislators and task force members. Its passage this session now appears certain. 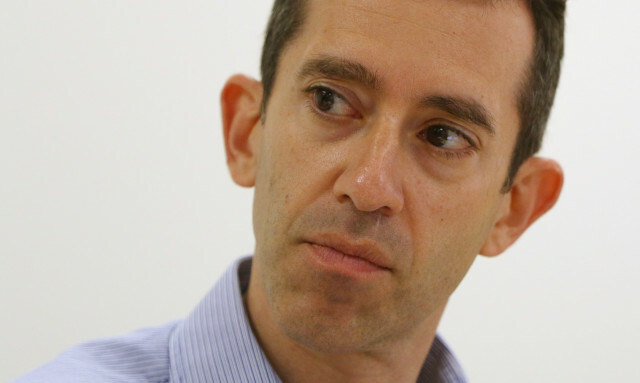 State Ethics Commission Executive Director Dan Gluck proposed a measure that would exempt task force members from having to file financial disclosure statements. HB 170 is supported by the League of Women Voters of Hawaii, Common Cause Hawaii and the Hawaii State Ethics Commission, which proposed it. Gluck said that task force members are often individuals who are appointed for limited purposes because of their experience. Having them subject to the same requirements as full-time state employees could discourage qualified applicants, he said. Two other measures that are part of the Ethics Commission’s package of bills are also advancing. On Wednesday, the Senate agreed to the House’s changes to Senate Bill 144, meaning that the bill is almost certainly headed to Gov. David Ige for his signature. SB 144 calls for repealing restrictions on obtaining transcripts of public contested hearings, requiring proof that violation of the state’s lobbying law was committed negligently, and allowing the Ethics Commission to levy a fine as part of a settlement agreement. In written testimony, Gluck said SB 144 makes “modest changes” to enforcement of the state’s lobbyists law and “harmonizes” the law with the state’s open records law. A third measure from the commission, House Bill 169, remains in conference committee. HB 169 bill clarifies provisions of the ethics code by eliminating the “double filing requirement” of gift disclosure statements, reduces an “unnecessary administrative burden” on Ethics Commission staff by only requiring records to be kept for six years after the filing date of each financial disclosure statement, and eliminates language that restricted access to transcripts from contested case hearings. The bill also calls for providing flexibility for participants mandated to enroll in ethics training sessions. Action on House Bill 164, part of a package of bills submitted by the state’s Campaign Spending Commission, was delayed for at least another day. Lee told Rhoads that the House plans to submit a compromise bill known as a conference draft. But the CD1, as it is called, is still being worked on. HB 164 is intended to tweak campaign finance laws to make it easier to disclose who is spending money on political advertisements. 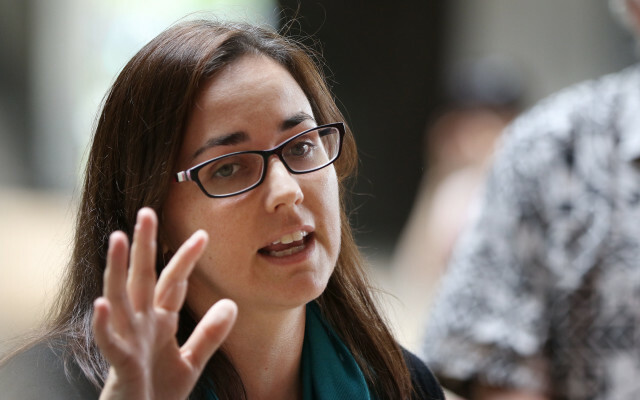 Hawaii Campaign Spending Commission Executive Director Kristin Izumi-Nitao urged lawmakers to reject surprise changes made to one of the commission’s bills. Izumi-Nitao pointed to the 2018 general election in which a couple spent $30,000 on Facebook ads to support multiple candidates on Maui. The law required them to report whenever they spent more than $2,000 on ads. Under the amended House Draft 1, however, the reporting requirement would be eliminated. There would also be changes to when the disclosures would have to be made. As well, the HD1 as crafted by the House Judiciary Committee would exempt legislators as well as all other candidates from filing electioneering communications statements. Izumi-Nitao urged the lawmakers to revert back to the original bill. 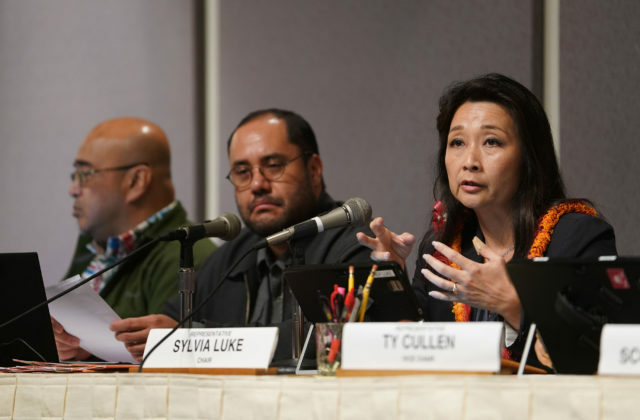 Gary Kam, the Campaign Spending Commission’s general counsel, told Civil Beat that the original bill merely sought to clean up language in the state law on electioneering communications. For example, current law only requires reporting on campaign mailers that go out at bulk rates. The commission wanted the law to apply to all mail rates. The commission’s goal was to make it easier for people to file statements with the commission every time they spent more than $2,000 on political advertisements, including on social media. Kam said he did not understand why the bill was changed. The Senate last month amended HB 164 more to the commission’s liking, making sure language on electioneering communications was retained. But lawmakers also added additional reporting requirements that Kam described as burdensome. People who spend more than $2,000 to advertise for a candidate already have to report that within 24 hours after the ad buy. The Senate Draft 1 requires weekly reporting as well. It is these differences and others between House and Senate versions of HB 164 that need to be cleared up if the bill is to pass this session, which ends May 2. The post Chad Blair: Why, Tulsi, Why? 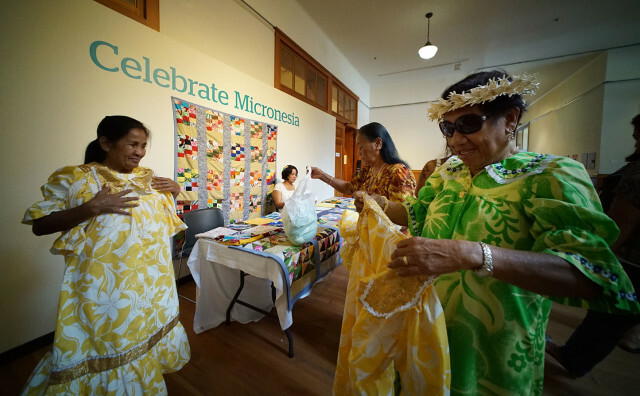 appeared first on Honolulu Civil Beat. This Saturday will mark the 100th day of Tulsi Gabbard’s campaign for president. The question now is, how many more days before she throws in the red, white and blue towel? Because the candidate of aloha is getting little of it from voters and donors nationwide. The most recent public opinion polls have Joe Biden and Bernie Sanders still leading the Democratic primary pack with Gabbard, the U.S. representative from Hawaii, far behind in the 1% range with the likes of Andrew Yang, Julian Castro and a half-dozen other declared or would-be candidates. Meanwhile, Gabbard’s presidential campaign pulled in $1.95 million during the first quarter of 2019, far less than established candidates like Sanders and charismatic contenders like Beto O’Rourke and Kamala Harris. And they all entered the race after Gabbard announced she was running Jan. 11. 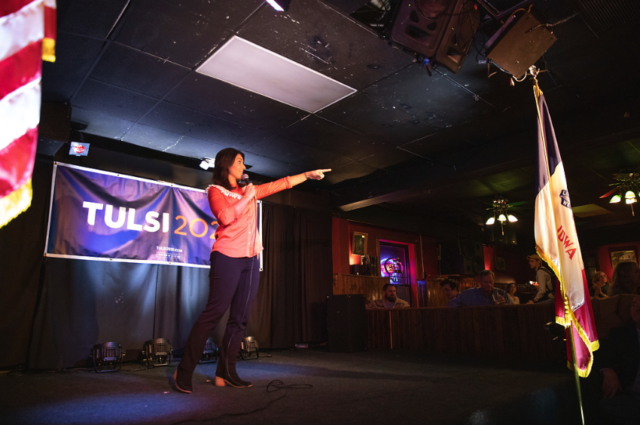 Tulsi Gabbard campaigning in Iowa on Feb. 21. 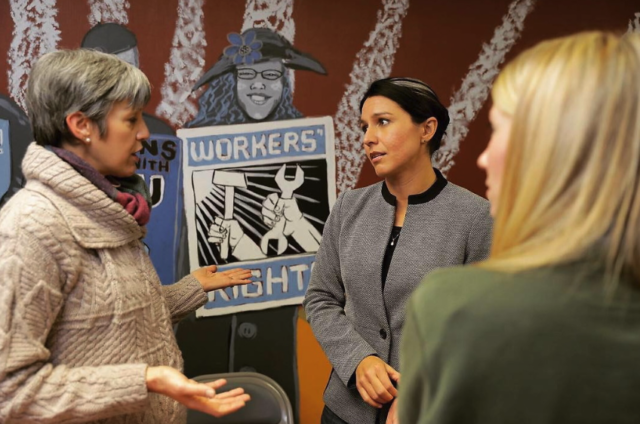 Gabbard’s rejection of political action committee money no doubt limits her cash haul. The FEC reports show she raised just over $1 million from small donors giving less than $200. But that pales in comparison to Sanders, who took in more than $18 million in the first quarter of 2019. CNN reported that 84% of individual contributions to the Vermont senator and democratic socialist were for less than $200. Gabbard’s biggest donor was herself: She transferred $2.5 million into her presidential account from her congressional campaign committee. Put another way, a lot of people who contributed to Gabbard’s previous campaigns for the U.S. House of Representatives are now paying for Tulsi 2020, as her campaign is called. Gabbard’s FEC filing for her Tulsi Now committee shows that she has appeal across the country in terms of campaign contributions. But not much comes from Hawaii. Of the 2,078 itemized receipts for Gabbard, only 114 — or about 6% — came from Hawaii. In addition to her parents Mike and Carol Gabbard, who donated the maximum to their daughter, Hawaii donations include $1,000 from Danny Kaleikini, who is identified as “Ambassador of Aloha” on FEC receipt disclsoures. Lois Mitsunaga, a structural engineer with donor-friendly Mitsunaga and Associates, gave $2,700. Gabbard has not been a passive campaigner. She has spent a number of days each in Iowa, New Hampshire, Nevada and California. She was in Alabama for Bloody Sunday remembrances. And she has eight “meet and greets” scheduled this week back in Iowa and appearances Friday and Saturday in New Hampshire. She says she has reached the threshold of 65,000 individual donors needed to participate in the Democratic debates. Tulsi Gabbard campaigning in New Hampshire on Feb. 17. But the media are not paying attention. An April 5 story in The New York Times mapping out where Democratic candidates had been in March did not include Gabbard, even though she had been in some of the same places as other candidates. Gabbard made some news when she criticized the U.S. Justice Department’s indictment of Julian Assange, saying it puts the U.S. government on a “dangerous and slippery slope” in its treatment of journalists and all Americans. But the critique rings hollow for a politician who often does not respond to media requests and who, in a plea for campaign donations just last month, accused the “mainstream media” of “anti-Tulsi bias” and ignoring or smearing her campaign. That’s rich for someone who has appeared on national television more than 100 times since being elected to Congress, according to tallies kept by CQ’s Newsmaker. Tulsi’s run for president is rooted in the belief that our country urgently needs a commander in chief who is willing to be our warrior for peace, and who will stand up to a corrupt foreign policy establishment and military industrial complex, end regime change wars, halt the advance of a new Cold War and — most importantly — bring about a new era of peace and prosperity for every single one of us. The problem for Gabbard is that foreign policy is not the defining issue of 2020. It’s who can beat Donald Trump. And the answer to that question is wide open. The latest Democratic flavor of the month is Mayor Pete Buttigieg of South Bend, Indiana. Buttigieg’s meteoric rise has got to gall Gabbard. Like her, he is a military veteran. He is also younger than Gabbard and a Rhodes Scholar and a graduate of Harvard and Oxford. 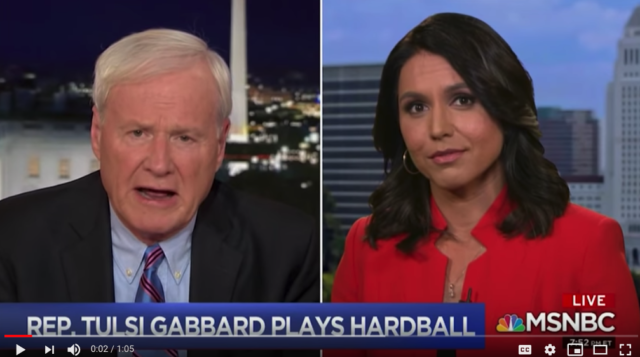 Though Gabbard blasts the media for “anti-Tulsi” bias, she has appeared on national TV nearly 100 times since being elected to Congress. She is shown here appearing on “Hardball” in April. Gabbard is now an LGBT rights supporter, but has been criticized for espousing anti-gay rights sentiments earlier in her political career. Meanwhile, Sanders is hot, having released 10 years of tax returns, unlike Trump (and, as of yet, Gabbard). Anything could happen to change the dynamic of the race, of course. Gabbard could give a boffo performance in the debates. Vice President Biden could say and do more inappropriate things. Trump might bomb Iran or invade Venezuela. Seventeen of the 18 Democrats (and counting) currently running could drop out en masse. Or maybe Tulsi Gabbard might decide that representing Hawaii’s 2nd Congressional District isn’t such a bad gig after all. That’s certainly the view of state Sen. Kai Kahele, who is gunning for the job with a quarter of a million bucks on hand and endorsements from heavy hitters. The post Honolulu Mayor To Legislature: Let’s Partner On Fixing The Ala Wai appeared first on Honolulu Civil Beat. 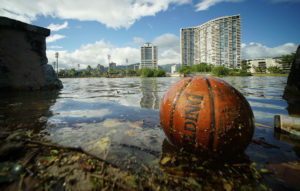 Honolulu Mayor Kirk Caldwell is asking leaders of the Hawaii Legislature to provide millions of dollars to mitigate flooding of the Ala Wai canal. It’s something that Gov. 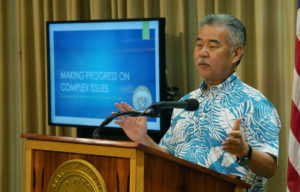 David Ige first asked for back in December, when he requested $125 million for Ala Wai flood control, but the bill to do it has hit a roadblock. The money represents the local match for Congress’ appropriation of $345 million for the project last year, received with the help of U.S. Rep. Colleen Hanabusa. Caldwell, a former state legislator, sent a letter April 11 to Senate President Ron Kouchi, House Speaker Scott Saiki, the state’s congressional delegation and other government officials. 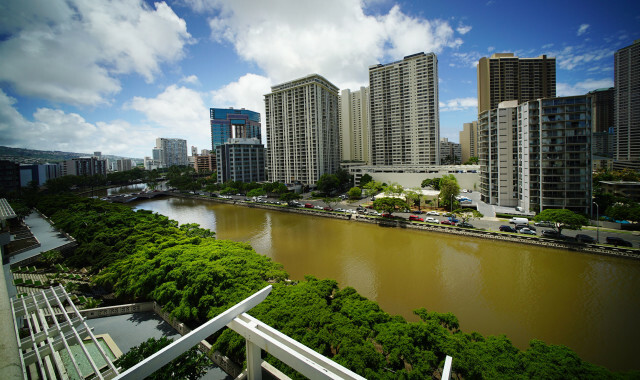 The Ala Wai Canal after a rain in 2016. 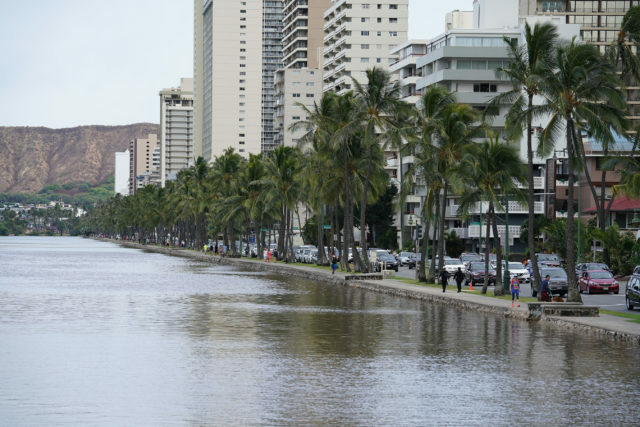 The canal is at risk of massive flooding that could cause major damage to the tourist mecca of Waikiki. A House spokeswoman said House leaders were not available to respond to media inquiries as of late Monday. Inquiries to the Senate communications office went unanswered. Caldwell used his letter to reaffirm the city’s position on the Ala Wai Flood Risk Management project. The mayor said the city will sign an agreement with the federal government — one that is still being negotiated — and that it is committed to “take on” future operations and maintenance responsibilities for the project. “The city requests that the state sign on as a partner, too,” Caldwell wrote, adding that the city and state “verbally agreed” that the state would provide local matching funds. Without the funding match, the mayor said the feds won’t fund the project, either. At the time of Ige’s initial request, state Rep. Sylvia Luke, chair of the House Finance Committee, expressed concern about the $125 million allocation. The amount would satisfy the federal requirement for about 35 percent in matching funds. But the request amounts to about 10 percent of the state’s $1.3 billion capital improvements budget request. 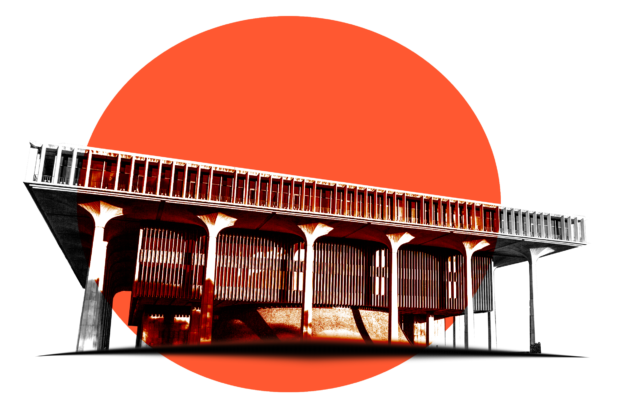 Luke said at the time that even if the state did provide the funding, Honolulu residents would be stuck with ongoing repair and maintenance. Senate Bill 77, which proposed spending the $125 million, moved through the Legislature with little opposition. Supporters included Rod Becker, Ige’s director of Budget and Finance, and Robert Kroning, Caldwell’s head of Design and Construction. But SB 77 never received a hearing in Luke’s Finance Committee and is dead for the session. According to the United States Army Corps of Engineers, a major flood could damage three thousand structures, require more than $1,000,000,000 in repairs, and severely impact Hawaii’s economy. The 2003 Economic Contribution of Waikiki Report indicated that in 2002, Waikiki-based visitor activity accounted for $3,600,000,000, or forty-six per cent, of the tourism industry’s total contribution to the gross state product. “The city did not waver or change its position, and any statement to the contrary is false,” he said in his letter, which is dated the day after the Star-Advertiser article was published. Read Civil Beat’s series Ala Wai Canal: Hawaii’s Biggest Mistake? 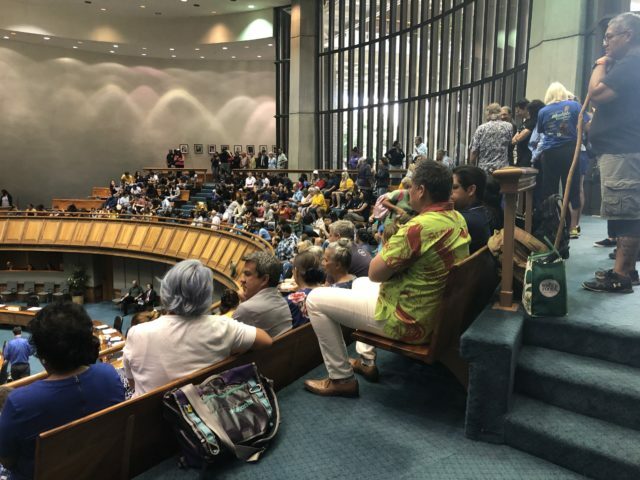 The post Chad Blair: Inside The Legislature’s Backroom Brawl Over A Water Rights Bill appeared first on Honolulu Civil Beat. 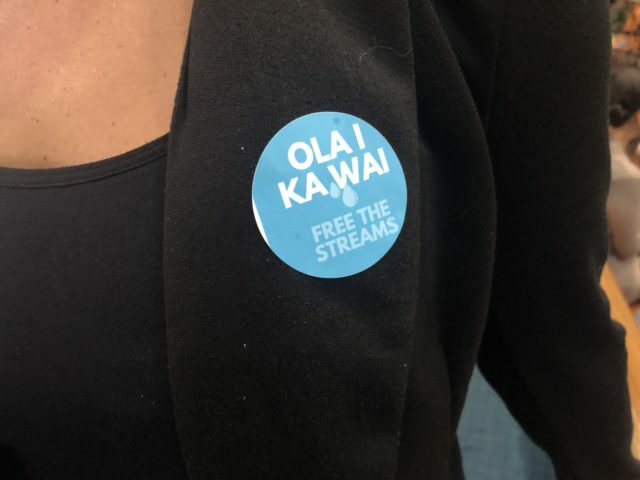 As opponents of House Bill 1326 were making a lot of noise in the Capitol Rotunda on Tuesday and chanting things like, “The people have spoken, the public trust is broken,” the state Senate was behind closed doors in its chamber-level quarters trying to save legislation extending the right of Alexander & Baldwin and others to divert water from East Maui streams. Senate President Ron Kouchi presides over a floor session Tuesday. Some senators are considering various options to revive a water rights bill that was supposedly killed at the committee level. In addition to A&B, which holds four revocable permits along with East Maui Irrigation Co., the other companies seeking lease extensions are Hawaii Electric Light Co., Kauai Island Utility Cooperative, Kapalala Ranch, Kuahiwi Ranch, Wood Valley Water and Farm Cooperative, Edmund Olsen Trustee and East Kauai Water Cooperative. But others say the Senate may try yet again during one of the 12 floor sessions remaining before adjournment May 2. What happened in caucus comes from more than a half-dozen people closely following HB 1326, including several lawmakers. They were granted anonymity so that they could speak freely about sensitive discussions in the Senate caucus held before Tuesday’s floor session began at 10 a.m. and a second caucus called by President Ron Kouchi just after 11 a.m. I happened to be in the Senate gallery when all this went down, although I didn’t fully understand what was happening until later. But I did get a tip that something was about to happen. On the Senate floor papers were delivered to the clerk and then to the member’s desk — a floor amendment for HB 1326. I looked up to see employees of the Senate Sergeant-at-Arms whispering quickly to one another. I also saw that several sheriffs from the Department of Public Safety were on hand. It turned out to be a false alarm. But it could happen again. The fight over HB 1326 in the Senate comes with several related developments. 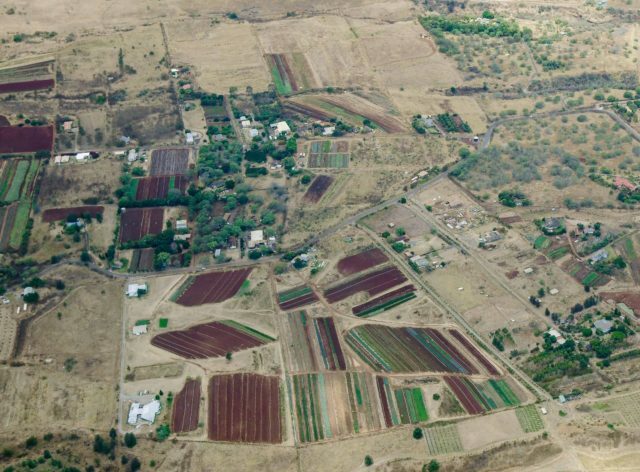 More than 100 farmers and ranchers on Maui, Kauai and the Big Island are dependent on the continued water access called for in HB 1326 this session, the Hawaii Farm Bureau says. Fuchigami’s public pronouncement came as a surprise to some senators who felt that it was unprecedented for the executive branch to insert itself into the legislative process to issue an ultimatum. Others said it was in fact very appropriate for the governor, the AG and the DLNR to be involved in crafting a solution. There is the possibility that Ige could issue an emergency proclamation to resolve the legislative impasse, but that seems a big stretch. The water rights bill hardly rises to the calamity of a natural disaster, although it is certainly a political crisis. 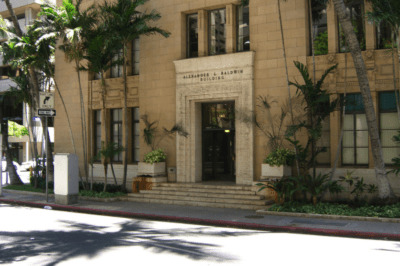 The Alexander & Baldwin building in downtown Honolulu. A widely shared goal in the islands is to move Hawaii toward a self-sustaining state so that it one day will not have to import nearly all of its food and energy. That must be done in accordance with core constitutional provisions and statutes that guide the use of public resources. A&B wants to continue diverting water to Central Maui, where it recently sold former sugar cane lands for $262 million to a company called Mahi Pono. The plan is to cultivate diversified food and energy crops. 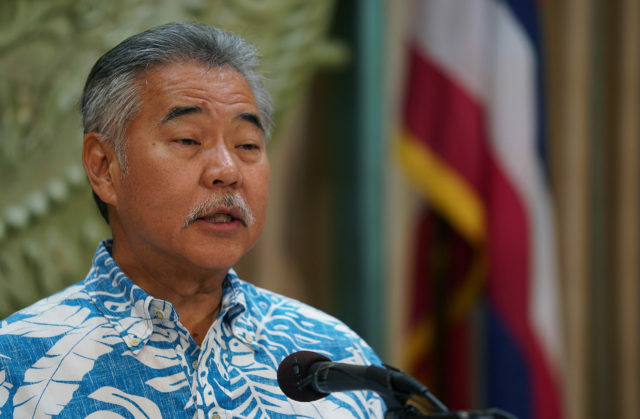 Ige could also call the Legislature into special session after the current session ends. That, too, seems unlikely. The most likely option is for the Senate to salvage some sort of compromise. But many are worried about the precedent of employing rarely used procedures such as pulling a bill to the floor. What if that happens to other bills that die in committee, such as Senate Bill 686 calling for the legalization of marijuana? If senators also choose to pull a bill, the so-called “nuclear option” could lead to a “nuclear war,” as I heard it described, in which there is a shakeup in leadership. Compromise legislation could potentially come with the help of the House. But some representatives are angry that the Senate botched the deal while some senators are angry that they are the ones having to do all the heavy lifting as the House stays largely out of the spotlight. And, there are plenty of senators who just want the whole thing to go away because it has become too toxic. And, according to the Maui County Department of Water Supply, more than 80 percent of Upcountry Maui water comes from streams in the East Maui watershed and without the EMI permit to access and deliver that water for use by Mahi Pono’s diversified agriculture in Central Maui, water may not be diverted to the county water treatment facility and then on to Upcountry residents and farmers. It’s not clear where all the emails are coming from. One of the senders of emails I was able to obtain is identified as Steven Horio of Kukui Sausage. Another is identified as Sylvia Smith. What is clear is that someone wants a water bill to pass ASAP. It’s not clear whether the water would just stop flowing come Dec. 31, when the permits expire, though some senators have said they find that unlikely. But this is the first year of the Legislature’s biennial session, meaning any bill that didn’t make it can be picked up again starting in January. 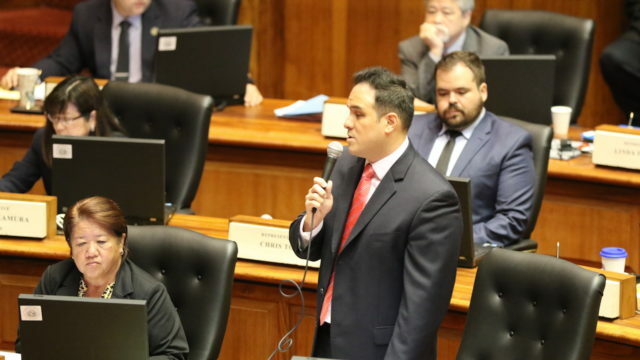 The post Chad Blair: Possible Resurrection Of Water Bill Has Capitol Abuzz appeared first on Honolulu Civil Beat. 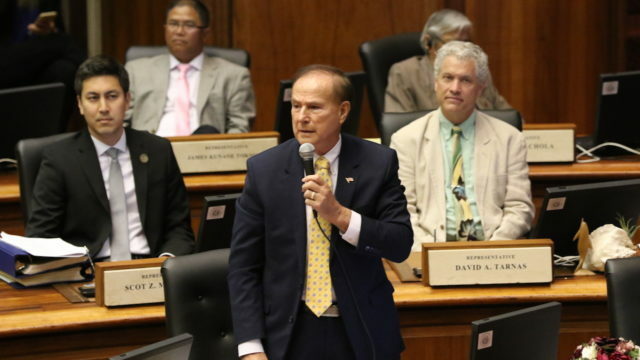 The Hawaii state Senate may — or may not — vote on the most talked-about bill of the 2019 session Tuesday when it gathers for a floor session at 10 a.m.
As of late Monday, the betting was that House Bill 1326 — which would allow the fabled former Big Five company Alexander & Baldwin, small ranches, farmers and utilities to continue to hold stream water diversion rights for another seven years — would not be heard Tuesday. For one thing, everybody at the Capitol and a lot of folks outside are talking about it. Among the rumors: Senate bills might be held hostage by the House if the measure that started in the House is not passed by the Senate; the confirmation of one or more Ige administration nominees may be imperiled by legislative horse-trading; and coveted capital improvement projects — that is, money for things in lawmakers’ districts — are being leveraged. Officially, the Senate leadership is not talking. The 24 Democrats spent much of the day in caucus, where about 260 bills are being considered for passage Tuesday and Thursday. The report that the House leadership is pressuring the Senate to advance HB 1326 during its floor session is not true. At this point, it is entirely up to the Senate leadership to determine how it wants to proceed. Whatever the leadership decides, it is important that the Legislature be civil and reasoned, rather than divisive. This much is certain: The Senate needs just nine votes to pull HB 1326 from the Water and Land and Ways and Means committees, where the measure was killed in dramatic fashion last Thursday. It would take some arm-twisting and rule-bending, but it is possible. What if, say, the bill to establish an airport corporation received fresh support from the legislators who have helped kill it the last two years in a row? 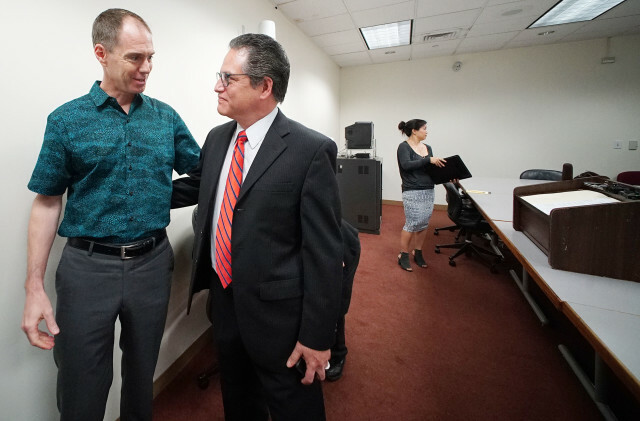 Alexander & Baldwin CEO Chris Benjamin, left, and Senator Majority Leader J. Kalani English share a moment after a press conference in 2016 to announce the most-recent agreement to extend water diversion rights. It also takes just 13 votes to pass the last version of HB 1326 — the House Draft 2 that has Finance Chair Sylvia Luke’s blessing — and send it straight to Gov. David Ige. Some neighbor island senators are especially keen on helping the people in their district affected by the legislation. If the Senate does not do this Tuesday, it can still do it later this week and anytime it holds a floor session right up until April 30. 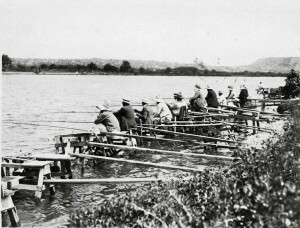 The session is scheduled to end two days later. Supporters of the bill don’t want to see it to go to conference committee, or to have the House vote on it again. They just want the measure passed. There are also bruised feelings among lawmakers. Some are hailing Sen. Kai Kahele, who proposed carving A&B out of the bill, as a hero to farmers, ranchers, some Native Hawaiian groups and environmentalists. Others see him as grandstanding, not a team player and with his mind already focused on running for Congress. 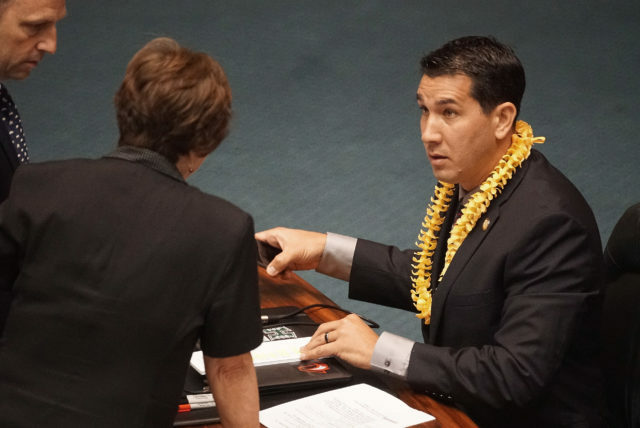 Sen. Kai Kahele’s move to cut A&B from the water rights bill resulted in its dying Thursday — but will it be resurrected? 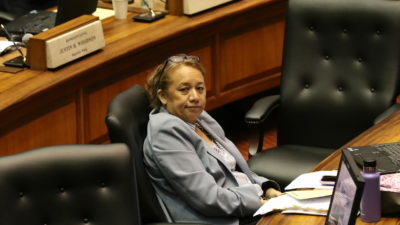 While it is difficult to dust fingerprints on why certain bills die, I can tell you that two bills authored by Kahele regarding the makeup of the University of Hawaii Board of Regents were recommitted to House Finance Chair Sylvia Luke’s committee Friday, one day after the same committee passed it. That effectively keeps the bill from going to conference committee for further consideration. Another Kahele bill, this one establishing a Statewide Sustainability Division within the Office of Planning, is now headed to conference committee because the House and Senate can’t agree on how it’s written. All this happened the day after the water bill drowned. People are also grumbling about potential conflicts of interest for certain lawmakers — you know, so-and-so’s uncle or cousin or whomever that is working for you-know-who. Finance Chair Sylvia Luke at a budget hearing with her Senate colleague, Ways and Means Chair Donovan Dela Cruz, center. HB 1326 is complicated. Water management is complicated. How the Legislature works is complicated. But the right to divert public water for private purposes is important. A&B has been diverting water for decades, from East Maui where taro farmers complain they are being robbed and to Central Maui where A&B no longer farms sugarcane but where the company sold land to a company called Mahi Pono. Critics including the Sierra Club charge that the A&B stands to lose $62 million if the water does not continue to flow, while A&B calls that a “red herring” and contends that rejection of the bill would harm the future of diversified agriculture. Finally, there is this: A&B’s political action committee gave $111,350 to state and county officials during the last two election cycles. A&B executives also donated $80,225. CEO Christopher Benjamin gave $37,500. 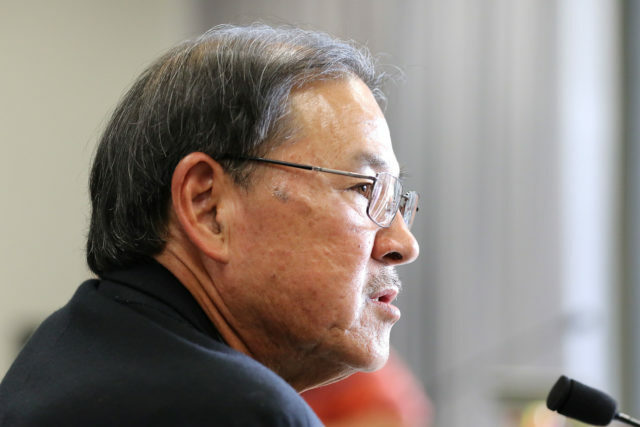 Stanley Kuriyama, the chair of the board of directors and a former CEO, gave $86,875. Now, why do you think they gave money to politicians? Because they admire their campaign platforms? Civil Beat reporter Blaze Lovell contributed to this story. 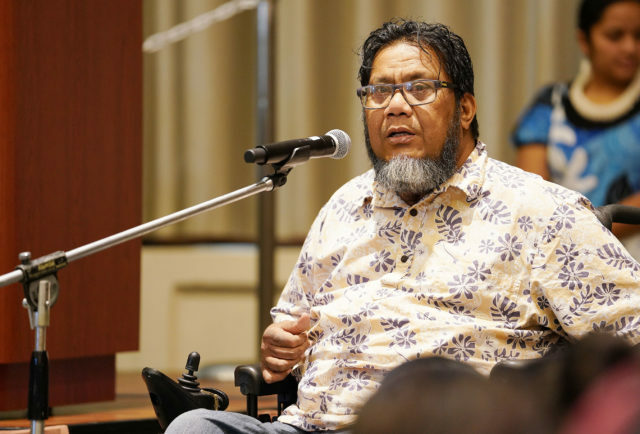 The post Ed Case’s ‘Talk Story’ Has Aged Well appeared first on Honolulu Civil Beat. Immigration. Health care. Government shutdowns. Historic preservation. 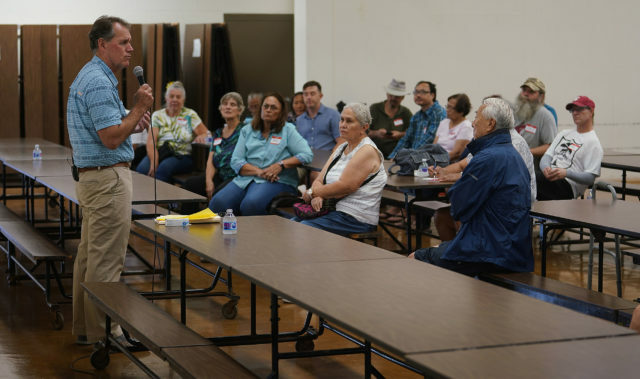 U.S. Rep. Ed Case listened to voter concerns about these and a host of other issues as he led a talk story session at the Campbell High School cafeteria in Ewa Beach Sunday afternoon. For Case, who was re-elected to the U.S. Congress last year after a 12-year absence, it’s his way of hearing what’s on the minds of the people who sent him to Washington, D.C. — an invaluable opportunity to get “the vibe” of folks back home, as he put it. It’s also his chance to bypass emailed newsletters and social media to tell them what he’s been up to in the nearly 100 days since he’s been back in office. It has been an eventful period and includes the longest shutdown in history of parts of the federal government and the release of the report from special counsel Robert Mueller. What Case wants the people of the 1st Congressional District to understand is that work continues in D.C. in spite of the perpetual “noise inside the bubble” that hovers over the capital. Congressman Ed Case talking story at Campbell High School Sunday afternoon. Case said he would talk for 30 minutes before taking questions, but he spent closer to an hour. There was a lot to talk about: the problem of dark money in politics, the crisis of climate change (Case “believes in the science”), his concern that an unnecessary border wall with Mexico will take federal dollars way from Hawaii (he estimates that close to 20% of the state budget is federal money), that “tens of millions” lack health care nationwide, that the national debt is $4 trillion larger than it was when he left Congress. And then there is the matter of Donald Trump. About the series: Civil Beat is following U.S. Rep. Ed Case as he readjusts to life in Congress after more than a decade away. 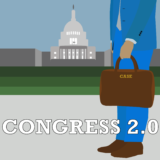 With D.C. dramatically polarized after two years of President Donald Trump’s administration, Case returns as a member of one of the most diverse freshman House classes in U.S. history. The president came up Sunday when Lindsay Desrochers of Kapolei raised the issue of national leadership. She said she agreed with Case that Congress is a co-equal branch of government that must serve as a check on the executive. What, Desrochers asked Case, would he do if the Mueller report turns out to be much more damning than the brief summary issued by U.S. Attorney William Barr? Case actually had a copy of the summary on hand, and he told Desrochers that he wanted to see the full report. At present, he is in Speaker Nancy Pelosi’s camp that there should not be a rush to impeachment. But, should the report reveal unacceptable behavior on the part of the president, Case made clear that it was the responsibility of Congress to act responsibly. “I am not shy about exercising that responsibility if I feel it’s warranted,” he said. Several dozen residents of the 1st Congressional District were on hand for the Ewa Beach talk story. Soon after, another woman in the audience expressed essentially the opposite view on Trump, defending his presidency and criticizing his critics. I asked Case afterwards whether the Mueller report came up a lot at his other talk stories this weekend. 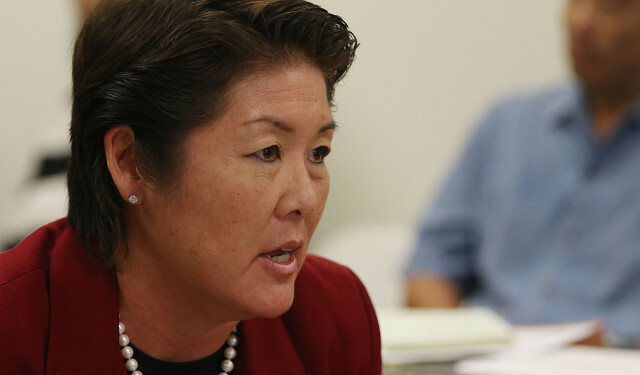 That concern is precisely what prompted Case to run last year to replace Colleen Hanabusa, who lost her bid for governor. “I think my overall conclusion is that I feel I have been on the right track in general, and this is a gut check on that after almost a hundred days,” he said. 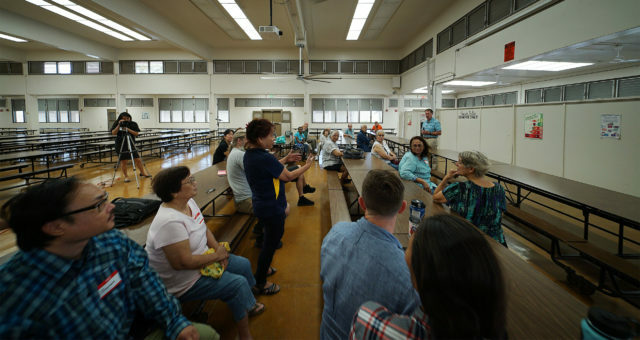 The talk story in Ewa Beach ended with applause from the several dozen in attendance — even from those who expressed different positions than their representative. Case, a Democrat, began his most recent trip home on Friday going on three local television stations to talk about his talk stories. Just hours after he finished up in Ewa Beach on Sunday, around 3:30 p.m., he flew back to the nation’s capital. Campbell High was the fifth of five stops on Case’s first talk story tour in a district that runs 40 miles long and 10 miles wide. They began Friday night and continued over the weekend at public school cafeterias downtown, in Aina Haina, in Kalihi and Waipahu. CD1 stretches from Makapuu in the east to Mililani heading north, and through Ewa, Kapolei and Kahe Point in the west. It is a district, as Case points out, that is diverse not only ethnically but also in terms of income and resident origin. It is home to veterans and universities, the seat of state government and the heart of the tourism industry. There are some 700,000 people that call CD1 home. Case, who today spends the majority of his time 5,000 miles away in D.C., travelled home often from late 2002 to early 2007, when he last served in Congress. He then represented the 2nd Congressional District, which covers the other half of Oahu and the neighbor islands. 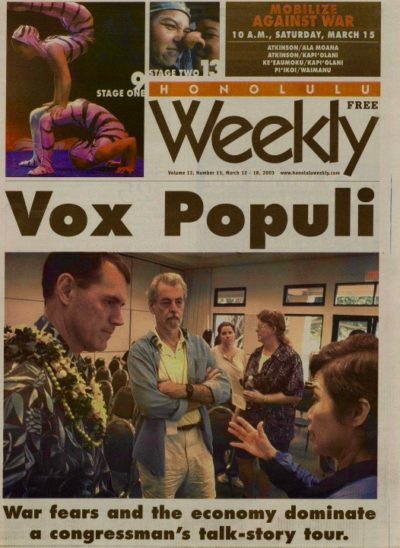 The cover of Honolulu Weekly, March 12, 2003. Case is the only member of Hawaii’s delegation that has represented both seats. And, while he has lost several other bids for the House and the U.S. Senate, he got to Washington before Sens. Mazie Hirono and Brian Schatz and Rep. Tulsi Gabbard. Talk stories are not unique to Case. But Case’s personal outreach stands out. He held 175 talk stories during his last tour of Congress, or about 40 a year. He estimates that he spent on average about six months each year either in D.C. or somewhere besides Hawaii, five months back home and one month on airplanes. 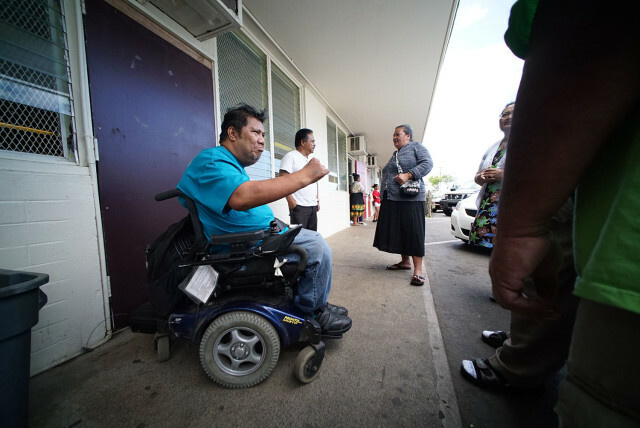 Back in March 2003, when Case was a freshman lawmaker in D.C., I tagged along on his talk story circuit one Sunday as he covered Windward Oahu with stops in Laie, Kaneohe, Kailua and Waimanalo. It’s instructive to compare how some topics on the minds of voters back then are still around today — North Korea, taxes, the deficit — and ones that have washed away with the wave of time — ice, Iraq, the Akaka bill. As polarized as America now is under Trump, Case reminded people that things were pretty polarized under George W. Bush, too. And the nation was on the cusp of war. The very notion of their country launching a preemptive strike was anathema to most residents, but few saw how it could be avoided at this late date. Every time Case brought the topic up, the room hushed. Standing with hands clasped, or raising his arms to make a point, Case said he believed Saddam Hussein was a “serious threat” but he also stressed that he did not know whether Saddam possessed the kinds of weapons Bush says he has, or whether he would ever attack the U.S.
“He’s not a clear and present danger,” he said. Case also described the Washington of 2003 as different as well. A week after my story appeared, the United States invaded Iraq. Flash-forward to today and Case says he and many of his colleagues continue going about their business. It includes working on the upcoming appropriations package and making sure lawmakers are helping with casework for constituents in their home states. But what is also different is that Case, never one to hold back his point of view, is today even more comfortable in his skin.